...in appreciation of their services..
YarrowCrow is a work-at-home mama to four great kiddos, one great husband, and several wild things on a plot o' land in Kentucky. Her interests are varied, and at 36 found that Life Herself has become her greatest teacher. She feels that all paths in her life have brought her to one place--working in Love and Beauty. Her dear husband jokes that the "place" is being the Weird Lady Down the Street. Kim is pretty sure that role is secure as the neighbors often see her feeding "the lawn" (chickweed, violets, dandelions, etc.) to her children. In her professional, non-mama, world, Kim is a tool of the Divine Creatrix, allowing the muses to waft her as they may. 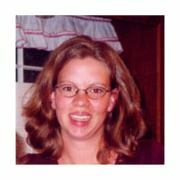 Leslie - I have been studing the healing arts for 17 years. I tend to stay mainly with natural practices. Always looking to learn something new. I am a wife and mother of one. Making tinctures, salves and tea blends for family and friends is my passion. StormWatcher - I am a daughter of the Earth, living my dreams and following my heart. I am located in Lima, Peru, where I teach English and spin my dreams of alpaca, mohair, and wool. I am a fiber artist, storyteller, and dreamer. My name is karen joy, also sometimes known as Karen, KJ, Kata, Kalena, and Mama! I am blessed to live in the Catskills of New York, just as they slide into the Hudson Valley! My passions are Ari, plants, nourishment, compassion, and dear friends and family! I love to cook deeply nourishing foods, create and gather clothing, baskets, pottery, and fabrics, and explore the depths of being a shamanic herbalist! I strive to hear before speaking, face the moment, and live vibrantly amidst chaos! 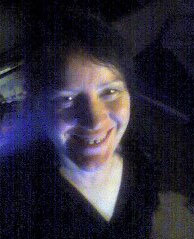 coyotemist - I am a mom of 2, and a wife of 10 years. In the past few years I have been a student of both the Wise Woman Tradition and of modern medicine, and am constantly looking for ways to enhance the wellbeing of my family and friends. In 2009 I will graduate as a Respiratory Therapist, and yet, the scientific knowledge that I am gaining brings me closer and closer to the world around me. In this whole process, the green world is sharing more and more of their gifts, and I'm grateful for it. Beyond that, I love horses, and reading! AmyD - I moderate the Wise Woman Birth Control topic of the forum. It is vital for us to understand our reproductive selves and stay free from pregnancy if that's what we desire. Let's learn together the Wise Woman Ways! My interest in self-care came from watching my Grandmother stitch what was left of my cat's paw closed with a needle and thread! She held the crying cat between her legs and sewed it shut. That made quite an impression. I am raising my 2 great kids in central Ohio with my supportive husband. Thanks for this opportunity. desertmedicinewoman is a life-long lover and student of the plant world, having studied the healing powers of the plants since girlhood. After graduating from Smith College, moving to the Sonoran Desert, and struggling with the 9-5 work world, she decided to follow a path closer to her heart, healing and helping and working closely with the plants around her. lindasu - When not working in the library, I draw, paint, digitally restore old photographs, read *everything* and study the Wise Woman Tradition as one of Susun's S & P correspondence students. I'm passionate about art, animals, weeds, yoga, martial arts and cooking. I live in Pennsylvania with my soul-mate, Brni, second son, Jesse, our sweet dog, Loki, Milo the red lored amazon, The Dove, and Spike, the hibiscus-eating iguana. luvmama - Bright Blessings! I am Shawna, attached mama and lactating acrobat to two wild boys. I enjoy hanging out with my goats, gardening, wildcrafting, homesteading, soapmaking, sitting in the sauna, and collecting Bantie eggs. I am a green witch on the Wise Woman path, and feel honored to be a part of this forum. lynpb - After 15 years as an Executive Assistant, and motivated by the birth of my daughter, I decided to start a Virtual Assistant practice in order to spend as much time as possible with her. Now Executive Stress Office Support (eSOS) has clients in three States of Australia and on both coasts of the USA. 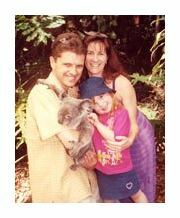 I live in Brisbane (Queensland, Australia) with my DH of 16 years, my daughter, our dog, cat, guinea pig and two goldfish! 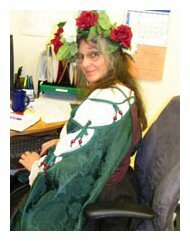 Being a pagan in the corporate world is not easy. I was blessed when Justine found me on the web - I never knew I was called a Green Witch till now!! I continue to learn and grow through my association with her and Susun, and this forum! I'm Macha2012. I'm a wise woman with multiple interests that spiral in and around a shamanic, herbal lifestyle. 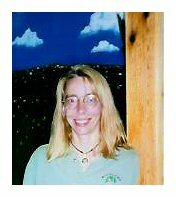 I'm a homeschooling mom who loves to make herbal remedies, write, canoe, ride my bike, talk to plant, animal and rock people and spend time with my family. I've been a practicing shaman for 20 years and have been blessed with teachers from both European and Native American backgrounds. I strive to live my life in service to Creator for the sake of all The People everywhere. magdaverte - I am a green witch, student midwife, and mother of three wild and wooly little boys. I am a weed-eating, dirt-digging, yoni-worshiping, beauty-walking wise woman. My passion is learning and teaching wise living in the city. 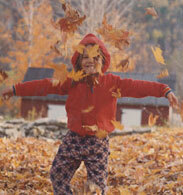 organicmama - I am a mother of 7 children and am inspired by nature, herbs, and tradition. I have my own business called Dreamseeds. I make herbal soap, beeswax candles and stock soapmaking supplies, essential oils and such. sHEALy - aka Sherry Healy holds a BA in theology/philosophy. 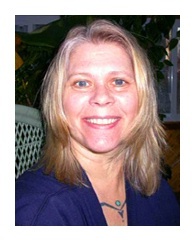 She is a well known intuitive, artist and author working from the town of Annapolis, Maryland. She is a lecturer, workshop leader and expressionist painter. Her artwork is highly coveted and known for its beauty and healing qualities. 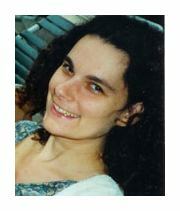 Her intuitive insights have given her a name that is known in metaphysical and healing circles. 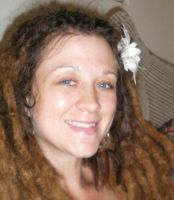 Cory Su lives in Daytona Beach, Florida with her husband and daughter,where she enjoys the ocean, cultivating herbs, crafts (especially herbal), and reading. Cory has her degree in Biology & Zoology from U of Washington. She also studied Chinese Medicine in a graduate program for 2 years. Cory enjoys learning and sharing herbal and other healing wisdom. She operates a small herbal crafting business, and sells her products at local fairs and online. 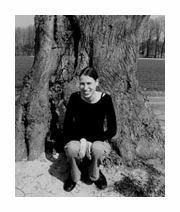 Danita Wind Song (HealerWithin) - What an honour to be a part of Susun's website and forum! I'm a Spirit-led Intuitive, pet healer, Reiki Master, energy healer and life coach who is blessed to live my passion each day doing the work I love! Am filled with gratitude to Susun for sharing so much of herself and her wisdom with the world of Wise Women. One of my passions is sharing the gifts Mother Earth so wisely offers us, with other Wise Women. 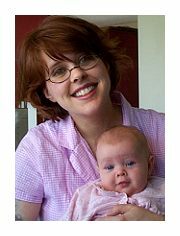 feminine_earth, aka Aunty Missy, is a co-moderator of "The Childbearing Year & Mothering"and "Homebirth & Midwifery"--a few topics that just so happen to be some of Missy's most cherished passions. If she's not studying childbirth and mothering, she's probably bottle-raising an abandoned baby fur-covered friend, practicing yoga, singing her heart out, or working on a novel. Missy is married to her best friend and soul-mate, who just so happens to be a hot-tempered Irishman, and is Mama to two completely crazy kitties and one very special woofer. She plans on moving to the mountains and opening a small herbal medicine store, and then having lots and lots of babies. When she can finally find time for solitude and contemplation, she can often be found talking to God and Earth Mother, and singing prayerfully to the full moon. groovyladyliss - Hi, I'm Melissa, aka groovyladyliss. 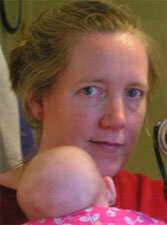 I moderate the forums Moontime, The Childbearing Year & Mothering, Homebirth & Midwifery, and Wise Woman Birth Control. I am a mother of two home-born children, a wife, and an apprentice midwife. I am passionate about birth, breastfeeding, attachment parenting and all things midwifery, including caring for the well woman. 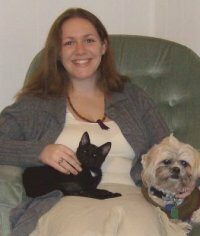 I am the herbalist of my family and am passionate about holistic methods with which to heal my household. I have deep respect for the Earth and all she has to offer, and I am very much into teaching my children how to live a more sustainable way of life. I also have an addiction; a fiber addiction! I sew, knit, spin my own yarn and dream of caring for an alpaca and a few sheep some day. 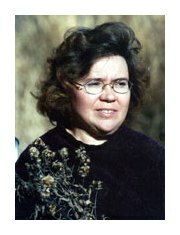 Joanne - wise woman and green witch, from Kansas, the prairie heartland of green allies. 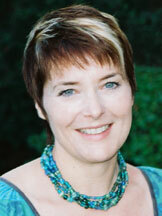 Has her degree in clincal psychology and counseled persons coping with a variety of illnesses. She has been studying herbology for about 6 years now. After numerous workshops and conferences, decided to learn from an herbalist, and a healer from a women-centered tradition. That is how she found her way to Susun and the Wise Woman way. Recently began teaching herb classes. 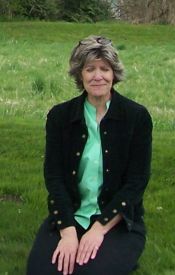 Moderates "Merry Meet' and loves to chat on herbs, health, and women's mysteries. Likes to write, get creative (watercolor, clay,etc..), read books, go flea marketing, garden, cook, canoe, camp, travel and hang with my companion golden retriever. LadyB (Barbara Hall, GramaBee) - I’m Susun's 109th apprentice from 1993. I’ve been a professional gardener for over 30 years, and am completely recovered from 8 crippling bouts of Lyme Disease, (thank you, Teasel). 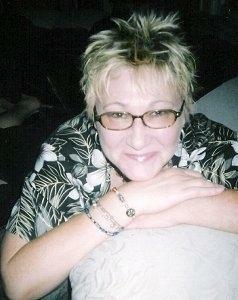 I’m also a BellyDance teacher, Hypnotherapist, and a GRANDmother of three wondrous children. I lived in NY State for 54 years, and made the giant leap to the West Coast (Oregon) in December of ’05. 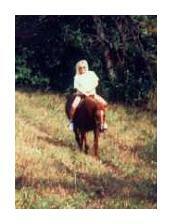 The Wise Woman Tradition has nurtured me and kept me going since reading Susun’s “Healing Wise” back in ’91. I’m pleased to be a part of this forum that brings it all to life so we can share it round and round the globe, I co-moderate Healing Wise and Plant Allies and Natural Body Care. Leaf - I was one of those children whose world existed of singing songs to the garden fairies, talking to animal friends and making weed soups ;-) After a long road and some huge life lessons, some bitter and some sweet, I came home again… I’m a certified Herbalist and Nature Guide now, still learning new things everyday again (currently I am doing Susun Weed’s Spirit & Practice of the Wise Woman Way course). 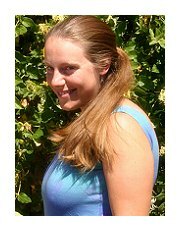 I work in a health food store and have a small herbal home business and give workshops to teach people the wonderful language of Mother Nature. Blessed be! 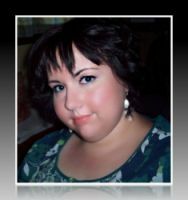 Lisa Meade/aka Priestessmom - Creator and Matriarch of Withinsight, LLC Lisa is devoted to serving women and offering to them the many tools and insights she has gained in her years of training both in the natural health field and in women's spirituality. Lisa has recently received her PhD in Natural Health and is excited to bring her love of Wise Woman practices to the everyday in women's lives. Her training as a Priestess and Spiritual Life Coach has provided the opportunity for Lisa to assist women in the understanding of their tools of self-empowerment. 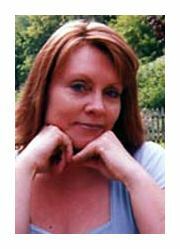 A ritualist, Lisa fosters the Mind-Body-Spirit connection in healing and creates rites of passage for people as they travel their life's path. Always honoring and celebrating the connection with nature's cycles, Lisa creates opportunities for women to step into the embrace of Gaia. LuJean ~ my name is LuJean and I have just moved to Washington, where I have my own business and I make and sell salves I make from my garden. I have taken three classes from Susun and I love learning everything I can from her. I have also taken several classes from two weed women in Idaho. I love learning all I can from the teachers that come into my life. My doors are open to who ever is next on my path of education, I'm willing to learn new ideas daily. I love to garden and use all the things I grow. I teach others and will continue on my journey. My dream is to come to New York and work one summer for Susun and learn all I can. I believe Nettle and Lavender are my two very favorite herbs. I use and I know I'm here to teach others. 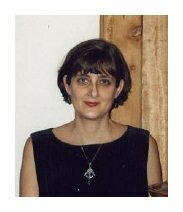 MaDonaVerde enjoys being a moderator of this forum to compassionately share her knowledge and experience with the Wise Woman Tradition with others. Aside from taking a correspondence course with Susun and doing her best to live the Wise Woman Way herself, MaDonaVerde also brings her MPH in Population and Family Health and many years of experience in the field of Reproductive Health to the discussion table. Informally, she continues her training "in the field" as a stay-at-home-mom for a busy boy, two dogs, one cat, her dh, and an ongoing project to restore and caretake for the plant life on her property. She enjoys reading, music, yardwork (really! ), and being with family and friends. nutmeg ~ I’ve aged quite a bit since this picture was taken, but the image still sums me up quite well. The ongoing support from the many wonderful wise women on this forum has nurtured me immensely in the last few years. I’ve learned SO much, and feel grateful to have the chance to help this community continue to thrive! 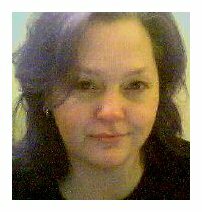 Suebee - I grew up proud, I was American Indian, Piney-Lenape & Seneca. I am a traditional artisan. I thank the earth for everything I receive to make Baskets, Jewelry, Dream Catchers, Green Men, Medicine and Nourishment for my family, friends and for myself. 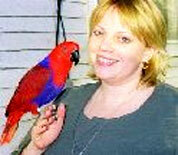 I have a wonderful husband, two teenaged boys, two parrots, and two dogs. Sunshine*, lives in Maryland with her husband and their son. Interests are: Astronomy, Astrology, Numerology, Aromatherapy, Crystal energy and other forms of healing. Loves: her family, animals, roses, plants and other flowers, mountains, the ocean, music and dance. 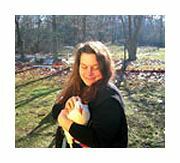 Tamara - I am an herbalist living with husband and child in the Appalachian Mountains. Inspired by my Grandmother, who knew the "healing ways"
Willow - I am a Naturalist, aspiring herbalist, and lover of all things wild and natural, especially snakes, spiders (I have seven tarantuals), and raptors. I am also the mother of a 14 year old wonderful daughter. I love teaching others about the beauty and healing wonders Nature has to offer, especially children! 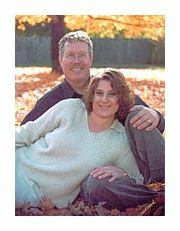 www.menopause-metamorphosis.com - Your body knows more about it than your doctor does! www.breasthealthcancerprevention.com - Promote breast health and prevent or cure breast cancer.